It's been a few weeks now since the reveal of the PlayStation 4. The initial release of endorphins has worked its way through our bodies, and we've come back to reality. Now it's time to take an unbiased look at our notes and dissect the pros and cons of Sony's two-hour-long announcement. My editor and colleague Josh Wirtanen recently posted an article about his concerns with regards to the omissions during the presentation, but my focus will be on what was said—the things that still have me floored and the things that have me scratching my head. Now don't get me wrong, I thought it was one of Sony's best presentations. It smoothly laid out some of the key features the new console will include, and also showed off a varied and dynamic game lineup. What concerns me is the functionality of some of these system features and pieces of peripheral hardware, and whether gamers will be as enthused about them as Sony’s presenters were. I'm also curious to see whether the games will have more to them than just good looks. After the opening mission statement by Sony Computer Entertainment president Andrew House and the official reveal announcement, the floor was given Mark Cerny, lead system architect and designer of many beloved series such as Spyro the Dragon, Ratchet & Clank, and Jak and Daxter. Cerny dove right into the muscles of the console. The system packs Intel's x86 CPU, an enhanced GPU (AMD Radeon, though not indicated in the reveal) that is expected to perform at 1.83 teraflops, 8GB of GDDR5 unified system memory, and a hefty local storage (though the amount of space has yet to be announced). The pros: The specs outperform the PS3 by an unbelievable amount, while at the same time being more user-friendly to developers. 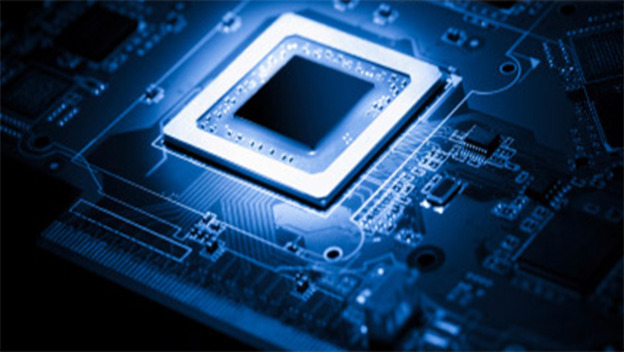 The adaptability of the APU (accelerated processing unit) could give the PS4 an even longer shelf life than the PS3. The cons: For PC gamers, these specs are not revolutionary, and most custom-built PCs (and even some prefab retail models) have been loaded with these chips for a few years now. The system longevity means we could be waiting until the 2020s for the PS5, which is fine for gamers now, but considering the constant evolution of technology, we don’t yet know what new standard the next few years will bring. Where the PS4 has the edge: Despite a focus on social and entertainment features, the PS4 is still a gaming console first and foremost, thus the system hardware will have a better dedication to the games and ease of access for gamers to play. The last point was elaborated upon with a list of features designed to satisfy the impatient. The pros: The PS4 will instantly be able to suspend and resume play sessions at the press of a button. It has a secondary custom chip for uploads and downloads, allowing them to run in the background without affecting the game you’re playing. And a big deal was made about being able to play digital games right away, without waiting for downloads. The cons: Instantly suspending and resuming a game is a feature Nintendo DS owners have enjoyed since 2004, and the Vita can do this as well, so this is nothing groundbreaking. Downloading the "initial" files to start playing immediately will still be at the mercy your wireless connection quality, and launch day titles could still be bogged with users all trying to download at the same time. Then again, have we really become so impatient that we can't wait for a download to finish? I'm sure the PS4 would have plenty of other diversions while you wait; you could watch a T.V. show or check out some user uploaded videos. Which takes me right to the next set of social and customization features unveiled by Mr. Cerny. The pros: A system-run screenshot and video streaming program that works off of video compression and decompression hardware will allow you to share your experiences with others. Friends will be able to give you live feedback and advice while you play, or even take control of the game to help you out. And content from the PlayStation Network will be preloaded onto your system based on your preference, eliminating the need for you to search around. The cons: This whole idea of spectating baffles me. Perhaps I'm old-fashioned, but I prefer to play games myself rather than watch somebody else play, or waste time pausing the game to sift through screenshots and edit videos to upload and brag about to the world. Remote access to your game? Remember, this is not co-op; this is another person taking control of your character. By letting somebody complete a difficult section, you lose that personal gratification, and a gained Trophy may not elicit the usual pride. I can already see the human botting proliferation. "Hey, level grind my Final Fantasy game while I'm at work. I'll pay you for it." Finally, preloading content based on preferences means the system will automatically fill your storage with what it thinks you want. I may be wrong, but I'm sensing wasted minutes of clearing out what amounts to nothing more than digital junk mail. Let's step away from the software and applications for a moment and take a look at the new controller, the DualShock 4. The pros: A subtle redesign keeps the classic frame intact while adding a nicer feel to the joysticks and trigger buttons, an enhanced rumble feature, and reduced latency. The Share button will keep your social tools easily accessible. The dedicated headphone jack is a must-have for multiplayer gaming. The cons: the touchpad, light bar, and added stereo camera peripheral could easily be underutilized by developers. Finally let's do a brief recap of the games that were showcased. The pros: Knack looks to be a new mascot of sorts for the system in the same way that many of Mark Cerny's characters have been in the past. Also, though cartoonish in style, the independent physics of Knack’s many floating pieces showcase some effects not possible in previous generation consoles. inFAMOUS: Second Son will easily keep the fan base happy, though without Cole as the lead, let's hope the new antihero is as compelling. The Witness will appeal to the non-traditional gaming population, with a puzzle-laden open world adventure reminiscent of the Myst games. Watch Dogs has a lot of us very excited about its launch later this year. Bungie's newest creation, Destiny, though still keeping us in the dark about a great many things, will likely take the entire gaming community by storm when it is finally released. The cons: Media Molecule's creative idea to use the Move as a sculpting tool is intriguing, and probably as addictive as they claim it is, but I'll guarantee most of the PlayStation fan base won't give it a chance to shine. Diablo III is coming to the console after much speculation, but it will be a year and a half old before the launch of the PS4. And what we’re still on the fence about: Then there are the games in the middle, the ones that need more than the glossy allure we were privy to in the presentation. Killzone: Shadow Fall is the most gorgeous looking FPS I've seen, but it's still the same recycled gameplay from every shooter before it. Drive Club has a lot of social features and details that would make any car nut drool, but how will it actually handle? As an RPG fanatic, I want to be excited about what Capcom and Square Enix showed, but all we saw was prerendered footage. While that looks nice, I need to know whether the games will be worth the hundred-hour investment. When all is said and done, it's quite amazing what Sony crammed into a two-hour announcement. We got a good look at where Sony wants to take us with the PlayStation 4, and what developers are planning to create with it. However, there's still a lot to be shown, and we'll be keeping our eyes on every game convention, expo, and anywhere else Sony wants to show off their next-generation console. I'd be a fool to say that the presentation sealed my verdict for a launch day purchase; I need to see the games in action, from unbiased gamers, and I need to test it out for myself. 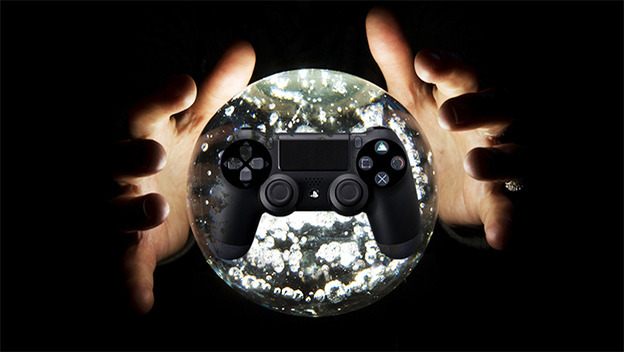 Thankfully, the PS4 is likely to make an appearance at E3 this year.